This is a special series of our own Celtic Healing – Wheel of the Year gift sets! 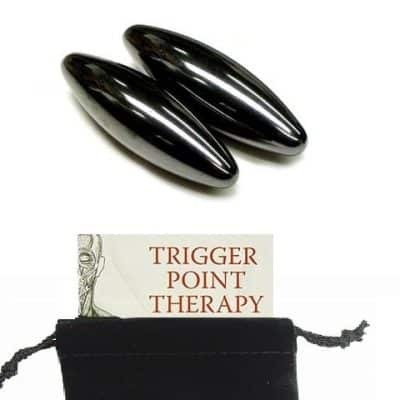 It is the perfect combination of essential tools for empowering your intentions! Encourage new beginnings and the smooth transition of change with this all-in-one gift set in honor of you! Imbolc or Candlemas or Groundhog’s Day is the mid-way point between Winter and the promise of Spring. (February 1st or 2nd) An Irish Gaelic word, Imbolc pronounced is a time for honoring creativity, fertility and receptive, feminine energy. It is also a time we celebrate love! Our scented Imbolc candle – this specialty candle was designed for protection. This wonderful candle embraces the “power of fire within nature” as a protective source. This blessed, fragrant candle is empowered with essential oils of vetiver, geranium and pine in a natural green wax. Wheel of Life Essential Oil blend – is a combination of pure 100% Angel’s Mist Essential Oils of rosemary, cedar and rose absolut. 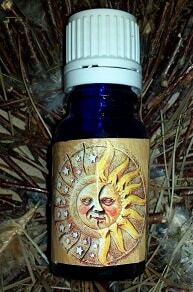 This unique blend is used to “honor the triple goddess” invoke nature’s herbs and flowers and the ability to “embrace life”. The Crystals – are powerful tools representing the power of love and fertility (rose quartz), heart’s desires (aventurine), passion and fire (fire agate), the purity of snow (Snow white quartz), the blazing sun (citrine) peace and transitions (amethyst) and courage and strength (bloodstone). They are accompanied by a wire wrapped, coil necklace allowing you to wear any one of the crystals you need that day. This includes a color coordinated pouch for storage. Cedar Smudge Stick – the purifying herb, this large incense bundle is used to clear away negative energy, cleanse any space and help start anew. 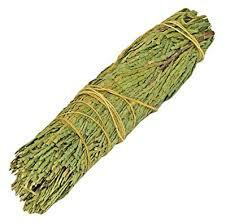 Cedar is a fantastic herb for cleansing and clearing and bringing about the awareness of change! 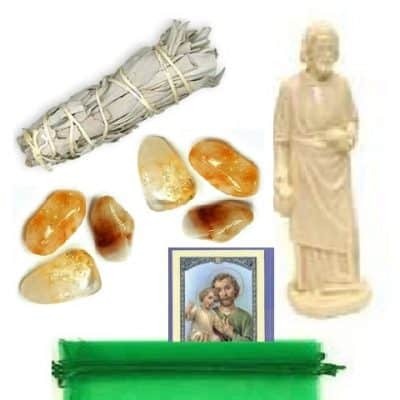 Imbolc Resin Incense – These incredible incense start with a base of resin granules. We then add a mixture of herbs and essential oils. Resin incense is a pure form of incense since it is not diluted by a burning base or fixatives typical in man-made stick or cone incense. 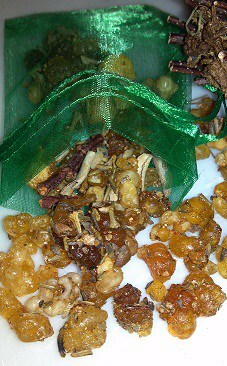 We finish this gift set out with a beautiful, all natural bird’s nest when decorating for Spring. It can be used as a “wish nest” by writing down your intention on a piece of paper and placing it in the nest. 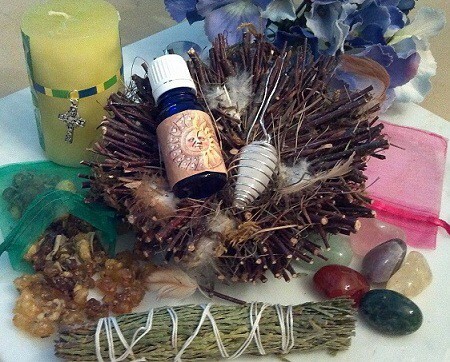 You can store your crystals or oils or incense in the nest or fill it with your favorite empowering tools. Please note: This kit can be enjoyed ANY TIME of the year!! It is for new beginning! The nest, crystal/incense bags may vary slightly in color or style. 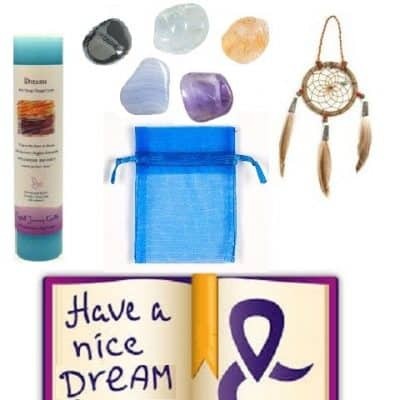 This gift set comes with “complete instructions” for a blessings ritual, meditation and the best way to cleanse and use your crystals, use your oil blend and help bring this kit “alive” for the purposes of empowering your life! 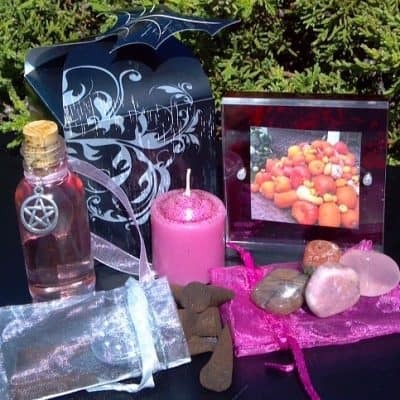 (Imbolc Gift Set, Ritual Kit, Sabbat Kit, Cleansing Kit, Spring Cleaning Kit).